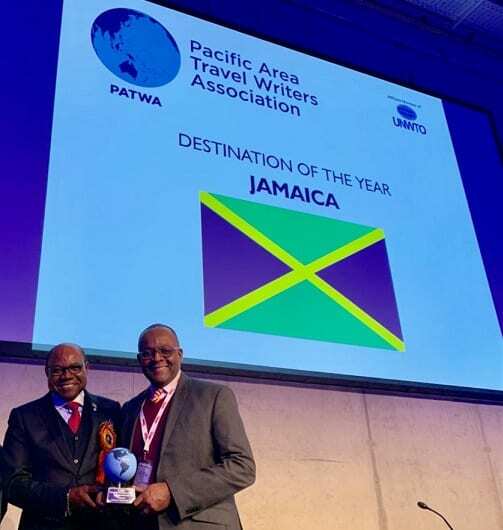 Jamaica was today presented with the Pacific Area Travel Writers Association’s (PATWA) International Travel Award for Destination of the Year, in Berlin, Germany. The Minister also noted that locally, the industry continues to break records for arrivals and revenue earned, making it a critical industry in the country’s growth agenda. 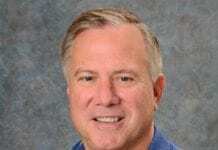 “Destination Jamaica has been performing exceptionally well. I am very proud to say that each year we continue to see an increase in the number of visitors to our shores – most of which have been to our island at least once before. This I am sure can be credited to our beautiful attractions and of course friendly people, who have also been able to earn from the industry,” he said. The total visitor arrivals for 2016 stood at 3,837,243 with 2,181,684 being stopovers. In 2017, total arrivals broke the 4 million mark to end the year at 4,276,189. The record-breaking streak continued into 2018 when the country welcomed 4,318,600 visitors. 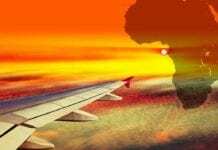 The statistics show that last year stopover arrivals exceeded the previous year by 5.1 percent but when compared to 2016, growth was a whopping 13.3 percent. The USA market in particular, grew by 7.5 percent in 2018 over 2017. Preliminary figures for airport arrivals for the period of January 1 to February 17 2019 show Montego Bay recording 275,902 and Kingston 44,400 for a total of 320,602. That is 31,172 or 10.2 percent increase in arrivals over the 2018 corresponding period. Projected figures for the 2018/19 fiscal year show gross earnings at US$3.334 billion, an 8.8 percent increase over the last fiscal year. Stopover arrivals are also projected at 2.713 million, which is a 6.2 percent increase. The ceremony forms part of ITB Berlin, which is the largest tourism tradeshow in the world – the foremost business platform for global touristic offers and a prime marketplace and driving force behind the international tourism industry. 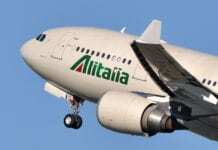 It highlights hotels, tourist boards, tour operators, airlines among others related to the travel industry. ITB is also the ideal forum for establishing new customer contacts and conducting business. The Minister is joined by Director of Tourism, Donovan White and the Jamaica Tourist Board’s Events Manager, Lorna Robinson. He will return to the island on March 9, 2019.